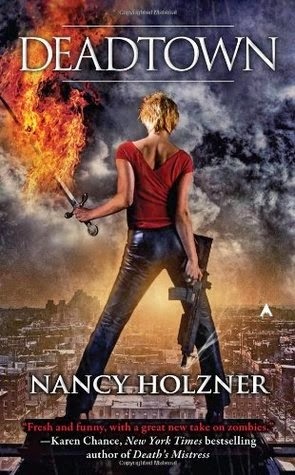 This week's stop is Boston, Massachusetts and our special guide is Nancy Holzner author of the DEADTOWN urban fantasy series. My urban fantasy series, Deadtown, is set in Boston for many reasons. It's a city I know well—I went to college in Boston and lived there as a young adult. It has a rich history but is also very modern. It has a Puritanical past and a liberal present. It's full of tradition and buzzing with the energy of a college town. Boston has always been one of my favorite cities, and I'm excited to share its spooky side. In the early 1960s, the city was terrorized by the Boston Strangler. Thirteen women died at his hands between June 1962 and January 1964. No one seemed safe—the victims were murdered in their own homes, they ranged in age from 19 to 85, and they belonged to a variety of ethnic groups. Women at the time tried to protect themselves by barricading their apartments, taking self-defense classes, and sleeping with a variety of weapons, including ski poles and umbrellas. Eventually, a man named Albert DeSalvo confessed. However, a lack of physical evidence to corroborate his confession meant he was never tried for any of the murders. Instead, he was sentenced to life in prison for unrelated crimes. He was stabbed to death at Walpole state prison in 1973. For years, people wondered whether DeSalvo was the real Boston Strangler. Other theories were proposed. But in 2013, DNA evidence from the scene of the last murder was found to be a match—first with DNA donated by DeSalvo's nephew and then, after an exhumation, with DeSalvo's body itself. Although multiple sites are associated with the Boston Strangler, 77 Gainsborough Street is the one that spooked me. It was the site of the very first murder, and it was just around the corner from an apartment I rented as a college student. Even though by then years had passed since DeSalvo's chilling crimes and death, it was scary to think he had started his murder spree in my neighborhood. Boston Harbor is dotted with small islands. One of these, George's Island at the harbor's entrance, is home to a 19th-century fort. Built of granite and shaped like a five-pointed star, Fort Warren held Confederate prisoners during the Civil War. There's a legend that a woman traveled north from Georgia to help her husband escape from Fort Warren. She was caught and executed as a spy. Today, the island is open to the public, and visitors to the fort sometimes report seeing a mysterious woman in black haunting the grounds—perhaps still searching for her captive husband. This cemetery is Boston's third oldest, dating back to 1660. It's the final resting place of many famous Bostonians, including the victims of the Boston Massacre, Paul Revere, Samuel Adams, John Hancock, and James Otis—who predicted his own death by a lightning strike. The literary minded can visit the graves of poet Phyllis Wheatley, the first published African-American woman, and Mary Goose, thought by some to be Mother Goose (but probably not). Granary Burying Ground can be eerie, especially at night, with crooked rows of tilted slate grave markers. Many of the markers display winged skulls as a memento mori—a reminder that death comes to us all. The cemetery's age and atmosphere are why I chose it as the setting of the climactic scene in Hellforged, where my protagonist, Vicky Vaughn, battles a spirit of winged death. The oldest public park in the United States, Boston Common is 50 acres of green space used for promenades, picnics, concerts, and winter ice skating on the Frog Pond. In the past, this space wasn't always so benign. On the west side of the Common is a plaque that marks the site of an oak tree used for public hangings. Criminals were executed there, but so were Quakers and women accused of witchcraft. The Common is also the site of Central Burying Ground, a cemetery established in the late 18th century. When the Tremont Street subway was being built in 1895, many unmarked graves were discovered in the area around the cemetery. More than 900 bodies were reburied in a mass grave inside the burying ground. Some visitors report a sense of oppression when they visit the site, as though there's a crowd of people impatient to be elsewhere. This hotel, which opened in 1855, is famous for inventing Boston Cream Pie and Parker House dinner rolls. But it's equally famous for its resident ghosts. The hotel's founder, Harvey Parker, who died in 1884, has been spotted walking the 10th floor. There's a story about a guest staying on that floor who awoke in the middle of the night to see a gentleman in Victorian dress standing at the foot of her bed. He asked how she was enjoying her stay and then faded from sight. She later recognized her nighttime visitor when she saw a portrait of Parker in the hotel dining room. Guests staying on the ninth and tenth floors have complained about being awakened in the middle of the night by the sound of a rocking chair. Trouble is, there are no rocking chairs in the hotel. Glowing orbs have been reported in the hallways of those floors. The third floor is also purported to be haunted. The elevator stops there when no one has pushed the button; the doors open to an empty hallway. Could the elevator have been called by one of the famous guests who stayed on that floor—Henry Wadsworth Longfellow, Charles Dickens, or the actress Charlotte Cushman (who died there)? Room 303 was supposedly the site of a suicide, committed by a liquor salesman. Afterwards, guests reported maniacal laughter and the smell of whiskey in that room, which was later turned into a supply closet. Any city as old as Boston is bound to have its share of tragedies and restless spirits. Thank you Nancy for giving us such a haunting tour of Boston! 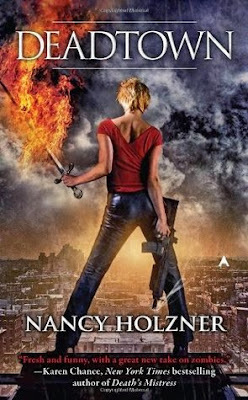 To learn more about Nancy Holzner and her books, please visit her website. You can add her Deadtown series here on Goodreads. Have you visited Boston? Ever experience anything of the supernatural kind in and around Boston? 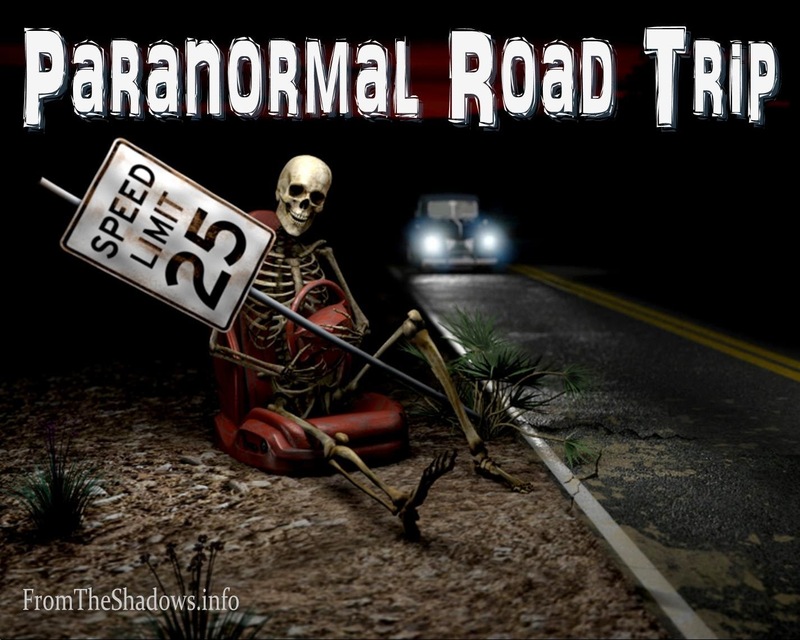 Last week on Paranormal Road Trip we visited Dunnsmouth, MA with Daryl Gregory. Next week we'll be traveling to San Francisco, CA with Celia Breslin. Thanks for a chance to share some of my favorite creepy places in Boston! I've never stayed at a haunted hotel. I think I want to. I've visited supposed haunted places on a ghost tour of Charleston, SC. Thanks for the fun look at Boston...on my list of must see places in the USA.